When I saw that Metro has a really great deal on cheddar this week, it made me think of making gooey and delicious homemade macaroni and cheese. That $4.44 package of family-sized cheddar also got me thinking about comparing the cost and time of boxed mac and cheese vs. making it from scratch. A quick Google search revealed that plenty of people on the interwebs have done this analysis before me and so instead of presenting my own findings, I’ll just make good use of their hard work and summarize! Cost: Making macaroni and cheese from scratch (especially if you can get the ingredients on sale) costs only a few cents more per serving than the boxed version. Also consider that boxed mac and cheese only makes about two cups of cooked pasta whereas you will get a lot more cooked pasta from a recipe that you make on your own. Because it uses real cheese and heartier pasta, it is also much more filling (and more nutritious) than the boxed stuff. 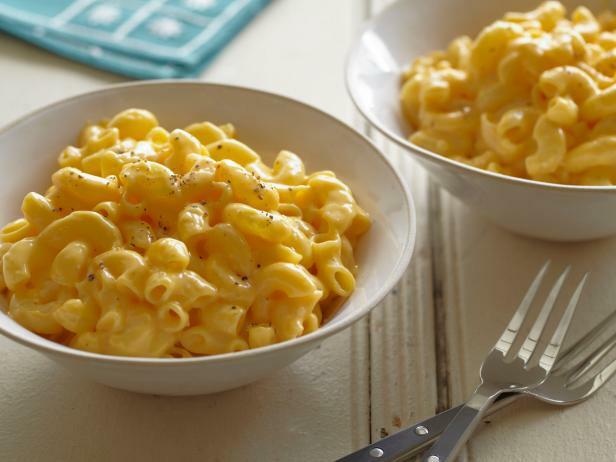 Time: In terms of time, it does take a few minutes longer to make mac and cheese from scratch, but this comes mainly from the fact that the boxed noodles take longer to cook than the noodles that come in the box. Most of the cooking takes place while the noodles are boiling so the main difference in prep time is just the time it takes to grate the cheese and that fact that you will be busy cooking the whole time. Taste: When it comes to taste, the homemade will win, hands down! So, if you have a few more minutes to spare and the ingredients required to make macaroni and cheese from scratch, I highly recommend making the switch. Here is an easy recipe that I hope you will enjoy! Bring a large pot of lightly salted water to a boil. Cook elbow macaroni in the boiling water, stirring occasionally until cooked through but firm to the bite, about 8 minutes. While the noodles are cooking, prepare the cheese sauce. Drain when done and return to the pot. Melt butter in a saucepan over medium heat; stir in flour and whisk until smooth, about 3-4 minutes. Slowly pour milk into the butter-flour mixture while continuously stirring until mixture is smooth and bubbling, about 5 minutes. Turn down the heat to low, add Cheddar cheese to milk mixture and stir until cheese is melted, about 2 minutes. Add salt and pepper to taste. Fold macaroni into cheese sauce until coated. Enjoy! This is a very basic recipe. Feel free to explore additions like a teaspoon of mustard, herbs or hot sauce to the sauce. You can try adding broccoli or other vegetables, which can be added for the last few minutes of the noodle water while they boil, or chopped ham, which can be added with the cheese sauce to the noodles. The possibilities are endless.